If you have ever been a client of mine, you will know that I am a stickler for good posture. My clients will joke with me that they hear my voice talking to them throughout the day telling them to stand and sit up straight. Why is posture important? 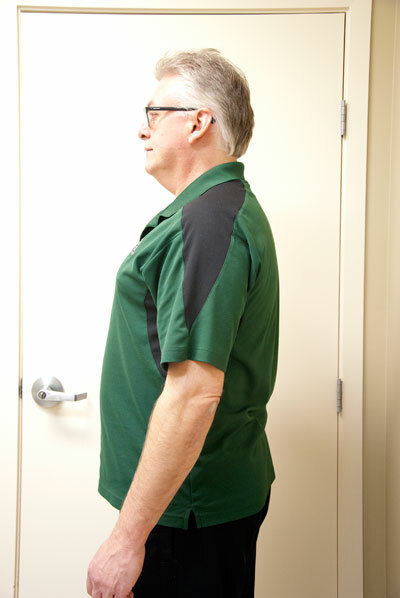 After having practiced physiotherapy for 25 years, I have seen the benefits of having good posture and the consequences of having bad posture in many of my clients. 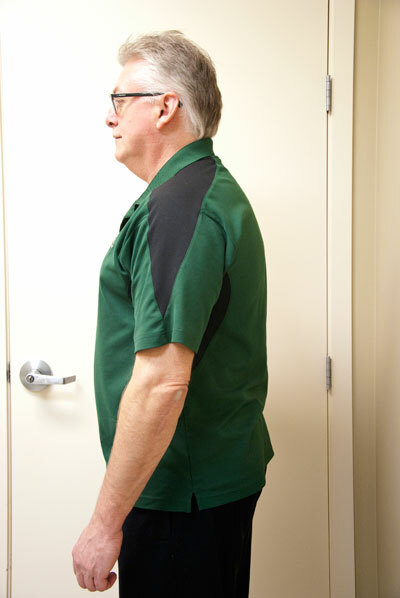 If you consistently have bad standing and walking posture, it can definitely lead to musculoskeletal issues. Musculoskeletal injuries are damages to the muscular or skeletal systems. Examples include neck, mid-back and low-back pain, and cause earlier osteoarthritis in the hips, knees and ankles. If you consistently have bad sitting posture, it can cause neck, mid-back and low-back pain in addition to hip and pelvis pain. It can be an underlying cause of tendinitis in the shoulders and rotator cuff problems, tennis elbow (inflammation around the elbow), carpal tunnel syndrome and other forms of shoulder pain, elbow and wrist pain. This is particularly applicable to people who with desk jobs involving the extensive use of the computers, drivers of a car, bus or train, or those operating machinery with repetitive movements while sitting. There are more scoliosis (curvature of the spine) reported in younger children and adolescents these days. It is definitely due to poor postural habits such as slouching while sitting to watch TV, playing computer/video games or studying. Another big culprit is carrying a heavy backpack using only one shoulder. You can learn more about the proper way to wear a backpack by reading the article, 10 Tips for Choosing the Right Backpack and Wearing It Correctly. The universal sign of poor postures appears in waiting room, at the bus stop, or in a restaurant. Everyone is hunched over their mobile cellular devices, iPads or laptops. While using mobile devices, they can only be set up so that the ergonomics is correct for the shoulder girdles and not for the neck, or for the neck and not for the shoulder girdles. You can solve this problem by buying a separate keyboard if they are being used for many hours per day. Another huge factor to consider is sleeping posture. Many people only sleep on their stomachs. This position can cause neck, shoulder girdle, mid-back and low-back pain. Constantly sleeping in this position prevents the condition from getting better as one is in this position for many hours at a time. Sleeping on one side only can be a cause of shoulder pain. 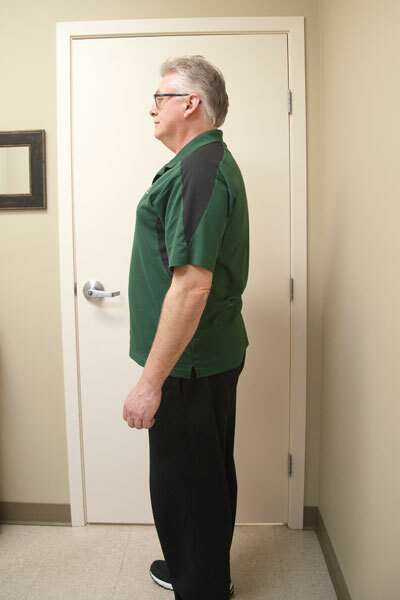 If you think you may have a postural related health issue that needs to be addressed, it is best to get it looked at by a health care professional as soon as possible. After many years of poor posture, some people remain anatomically ‘ stuck ‘ in this position and it is far more difficult to correct. The physiotherapist will assess your posture, educate you as to how to go about correcting it, or preventing it from getting worse. This generally involves teaching you corrective exercises to strengthen certain muscles and stretch others, and alignment corrective exercises (e.g. using a half-foam roller). Here’s to your Postural Health and I hope you are remember to lift your breastbone to the ceiling, keep your shoulders back, tuck your chin in slightly, and tuck your belly button in slightly.